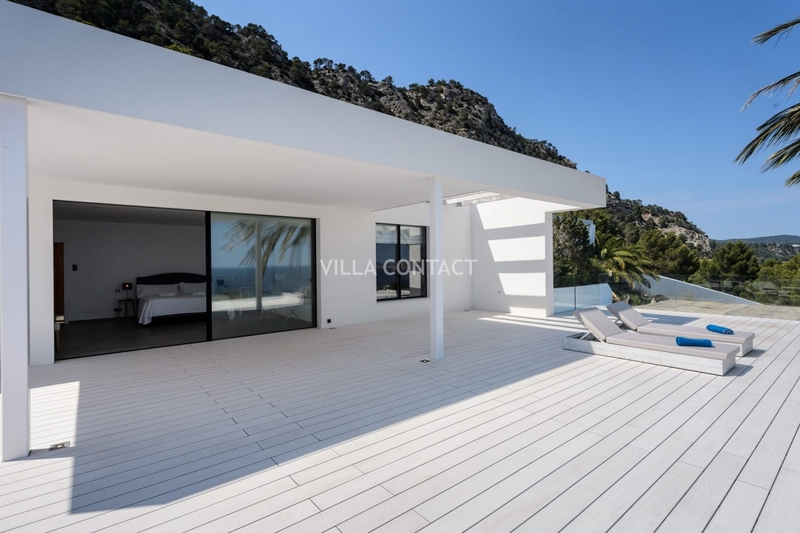 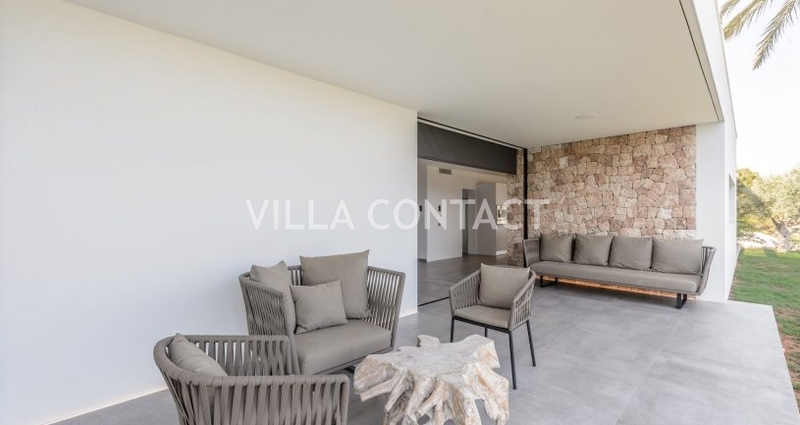 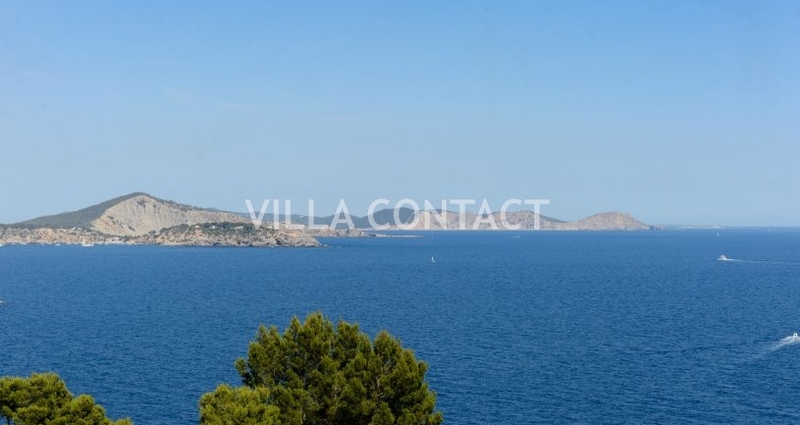 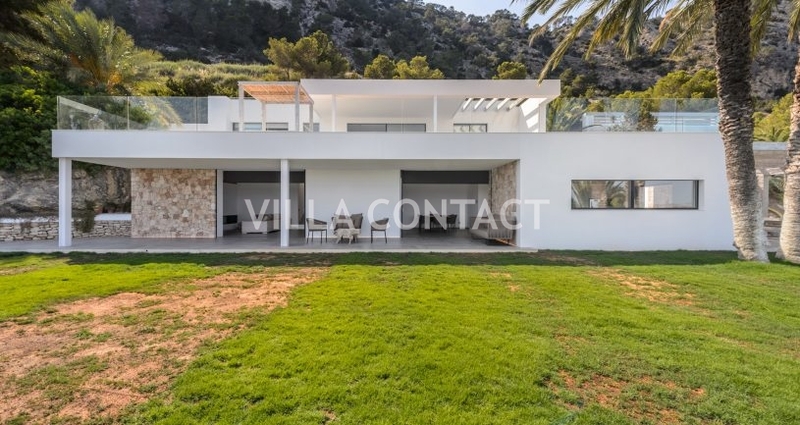 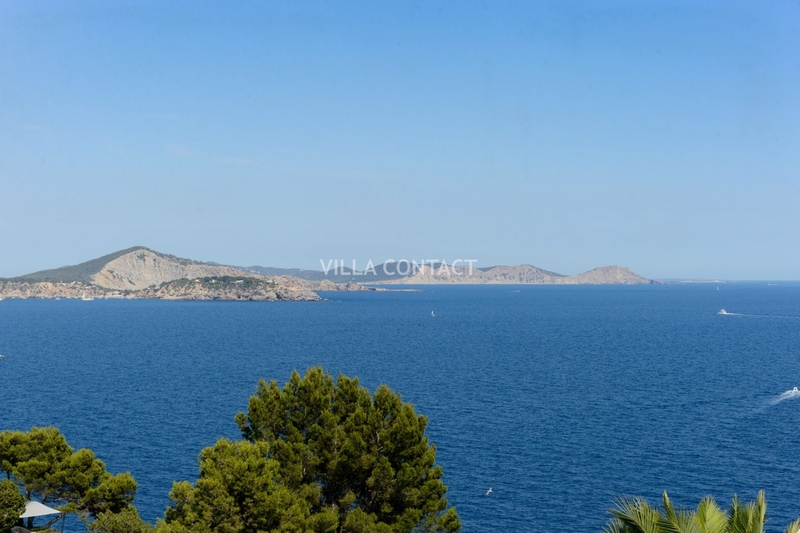 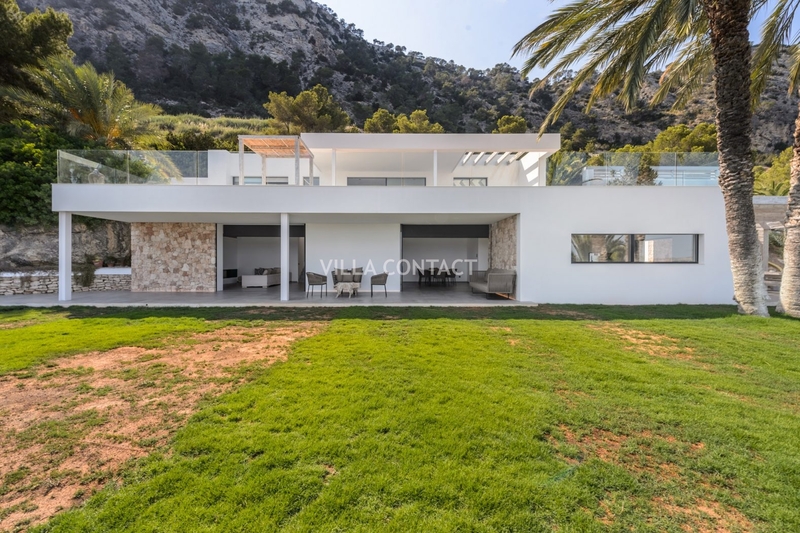 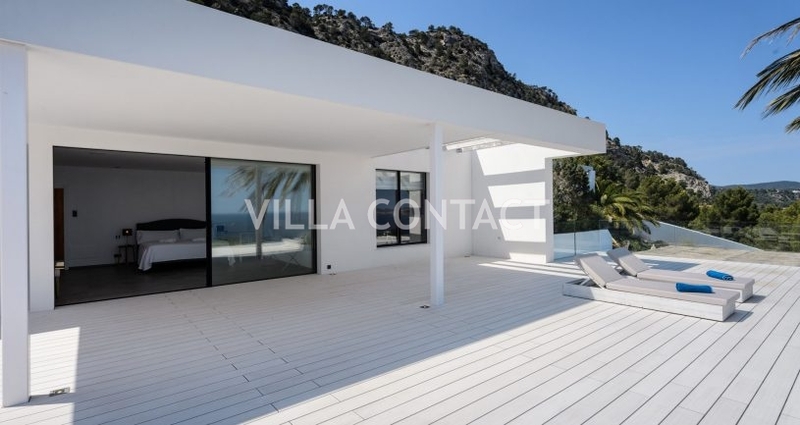 Villa Inspiration is one of the impressive properties dotted along this rugged and dramatic setting. 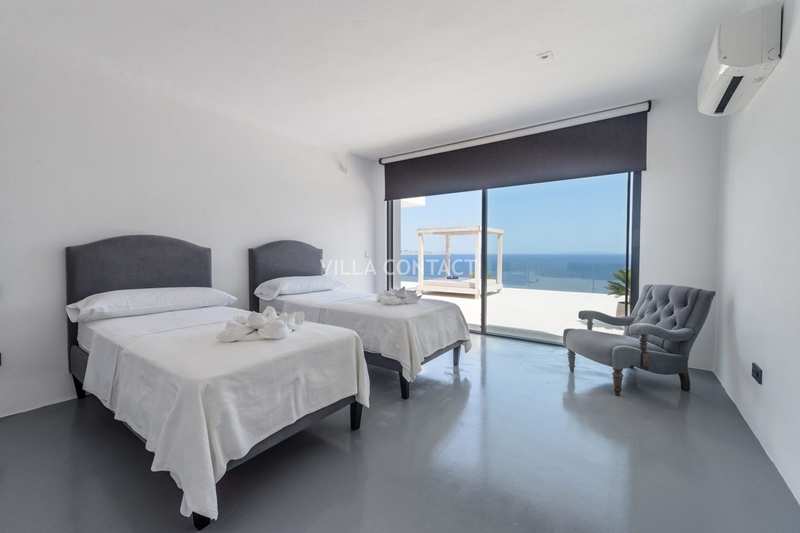 It has been recently renovated in a chic and modern style and has incredible sea views from nearly every room as well as from the expansive terraces, the spacious pool area and the grass lawn. 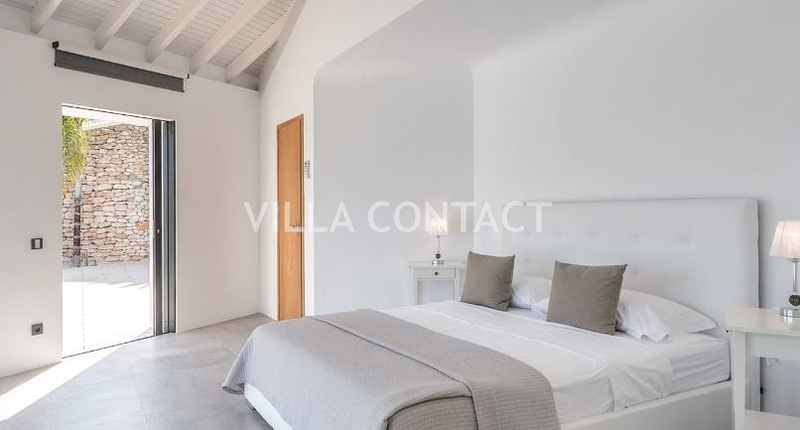 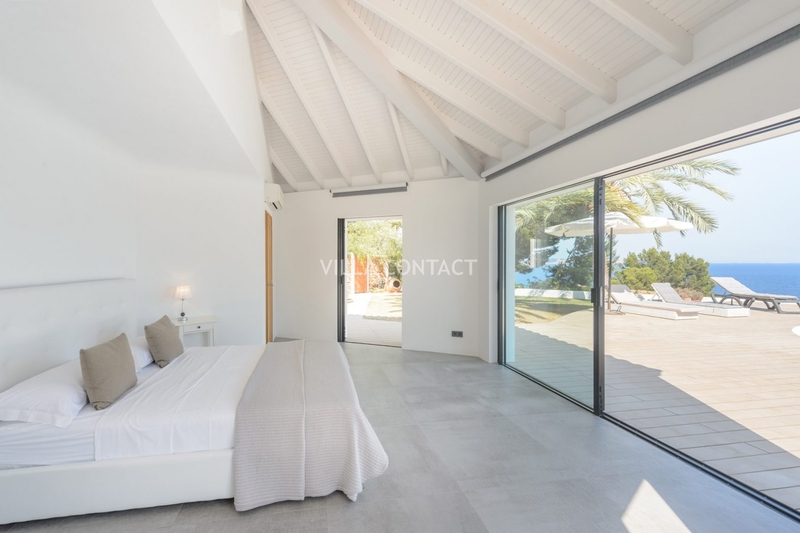 Villa Inspiration has five well-sized bedrooms, including a giant master suite. 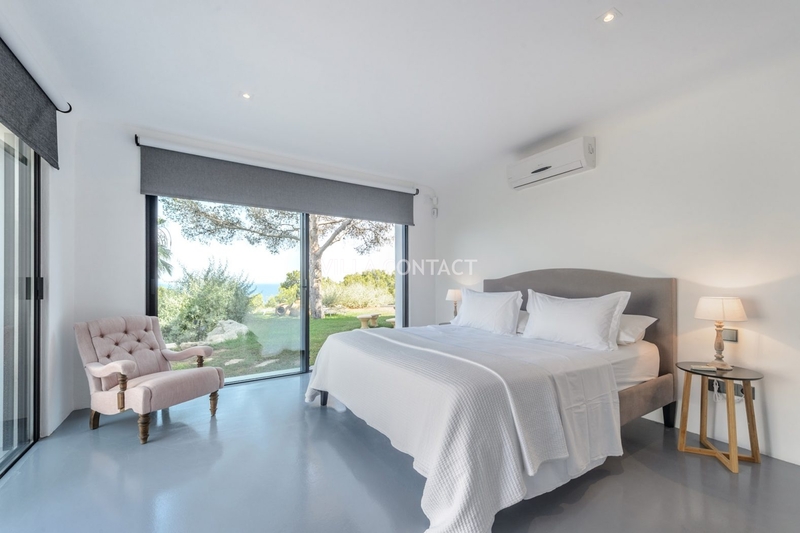 Three of these bedrooms (the master, an en-suite double and a twin with separate shower room) are on the upper floor of the main house. 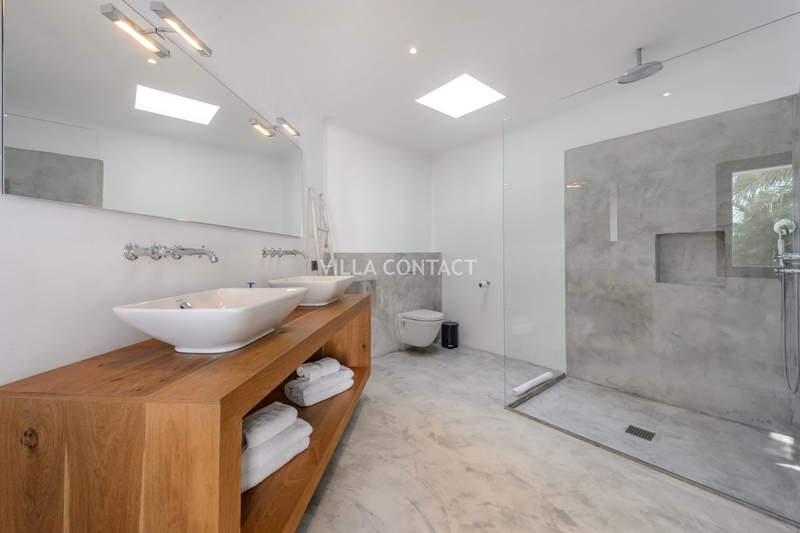 There is an additional en-suite double in an annex, very easily accessible from the other bedrooms. 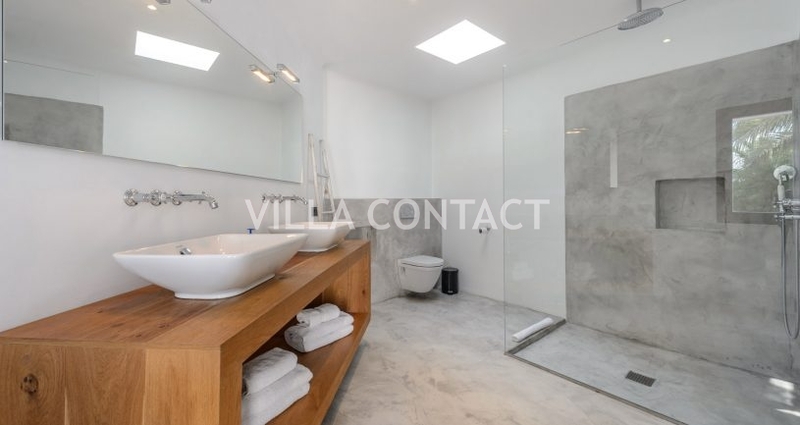 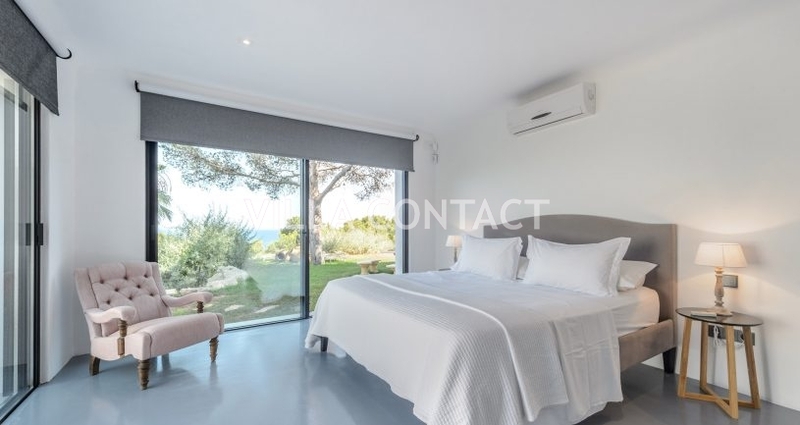 The last en-suite double is a stylish room that opens out on to the pool terrace. 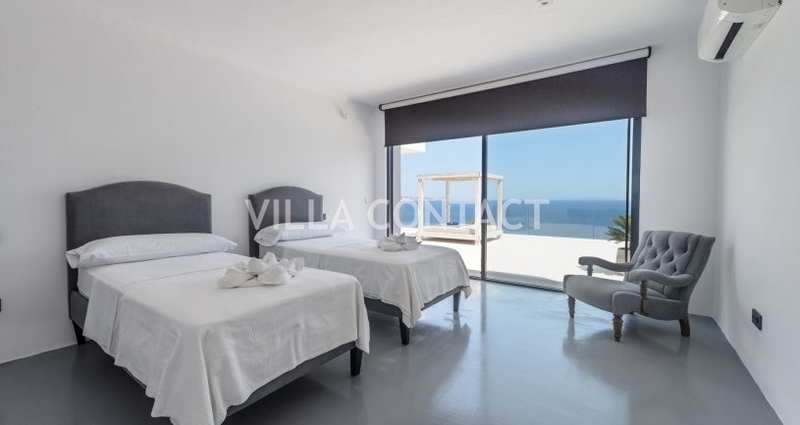 All the bedrooms have sea views, AC and access to the outside terraces. 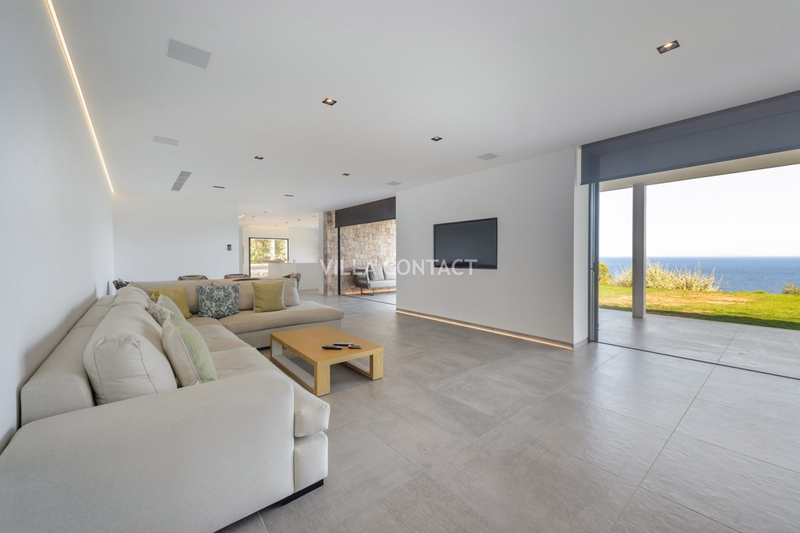 The main living floor is a level below the bedrooms and is a spacious open plan area with large sliding doors that recess into the walls creating a fantastic inside/outside feeling. 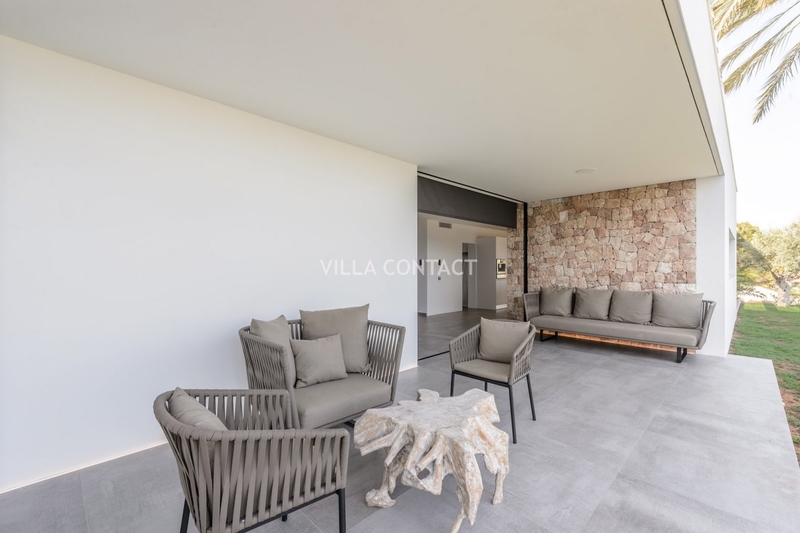 You walk from the living area onto the dining terrace and grass lawn which in turn drops down to the pool terrace and bar. Rest assured, when you are relaxing at Villa Orion this summer you really won’t want to leave.